Calcined Dolomite Lumps are the best catalysts and base chemical for steel plants. Also, they have their applications in hazardous waste treatment and animal waste treatment. We are engaged in supplying quality rich Calcined Dolomite Lumps to our clients. Backed by coordinated workforce, we ensure timely delivery of Calcined Dolomite Lumps to our clients. 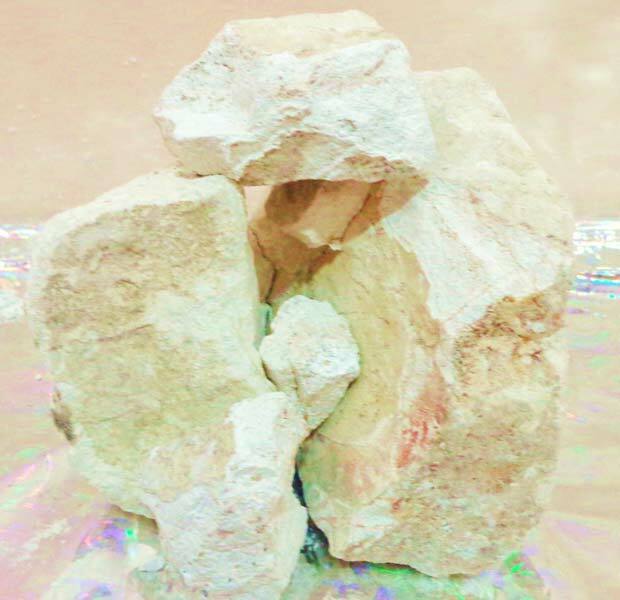 Calcined Dolomite Lumps commonly known as DoloLime, Steel Grade dololime, Burnt Dolomite, Calcined Dolomitic Lime and Steel Grade Dolomite, is formed by the calcination of Natural Dolomite Lumps that contains 37% to 40% MgCO3 and 50% to 55% CaCO3. After burning, the Magnesium content becomes 30% to 38% and calcium oxide content becomes 50% to 55%. The Dolomitic limestone (dolomite) is formed by the process of dolomitisation in which some calcium in limestone is replaced with magnesia. Theoretically, Dolomitic Lime should contain CaO and MgO, i.e. 58% CaO and 42% MgO. On contrary, practically the commercial products normally consist of 35 - 40% MgO due to the presence of impurities and difference in the levels of dolomitisation.